On a recent Fall afternoon, we gave matchy matchy fashion another try. This time, however, we wanted to be more selective about our outfits to avoid being too obvious or cheesy. Inspired more so by Crystal Castles than the matching couples found in Korea, we wanted to imitate their style cohesion rather than mirror each other’s wardrobe pieces. 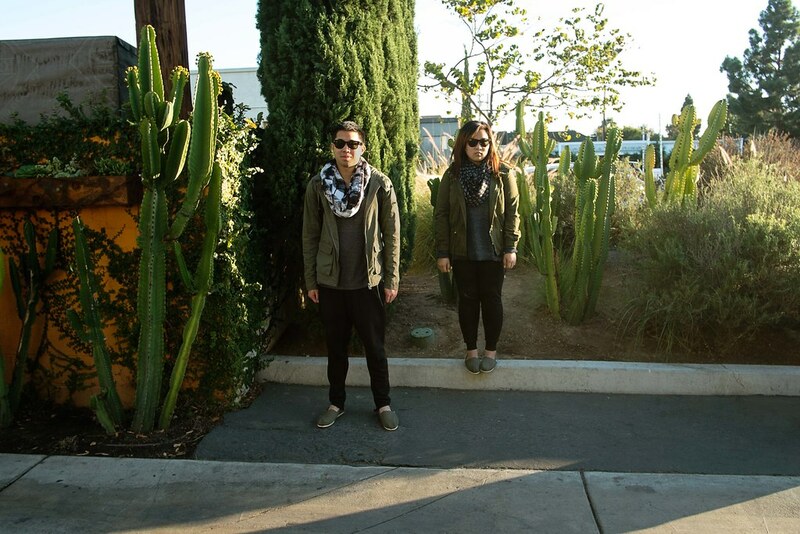 This was made easy by the unisex pieces in our closets, and so we settled on joggers, TOMS, scarves, and our parkas. With subtle differentiations in the details, we avoided being too gimmicky and instead created two cohesive looks that either of us would wear with or without each other. These outfits were perfect for grabbing coffee and sharing our favorite books at a bookstore.